Serving patients In Tulsa, Utica Square and Sapalupa. C. Rieger Wood, DDS serves Tulsa and Sapalupa, OK with comprehensive and restorative dentistry. Whether your child needs to have their first visit to the dentist or you are looking to have your smile restored, our Midtown Tulsa dental practice can help. Dr. Wood and his associate, Dr. Jason Weilacher, can serve the needs of your whole family. They can see children of any age and even encourage parents to hold children in their laps during exams, so that children can watch their parents go through a dental exam before going through their own. We help children establish an understanding and trust in dentistry, which allows them to relax during visits and prevents future dental anxieties and phobias. Our dental services also include restorative procedures to help reconstruct patients’ smiles to the appearance and functionality they desire. Our Tulsa dental office not only offers a wide range of services, but also has a strong focus on performing procedures as effectively as possible. Doctors Wood and Weilacher are perfectionists when it comes to alleviating dental pain and creating beautiful smiles. They are dedicated to the care of their patients and treat each patient with utmost respect and consideration. Dr. Wood also takes extensive continuing education courses to expand his awareness of new technology and procedures. Our patients deserve only the best that dentistry has to offer. C. Rieger Wood, DDS provides patient-first, comprehensive dentistry in Tulsa, Sapalupa, and the communities between. Our office is located one and a half miles outside Utica Square and two blocks East of Harvard Ave., within Midtown Tulsa. To find out how we can best serve the needs of your family, contact us today! Tulsa Dentist, Dr. C. Reiger Wood is a professional dedicated to Excellence in General, Family, & Cosmetic Dentistry such as Dental Makeovers, Porcelain Veneers, Teeth Whitening, Crowns/Caps & many other dental procedures. 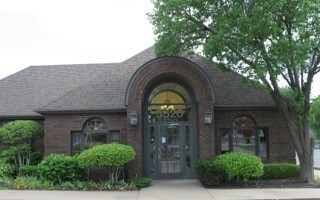 Please come and visit Tulsa Dentist, Dr. C. Reiger Wood.